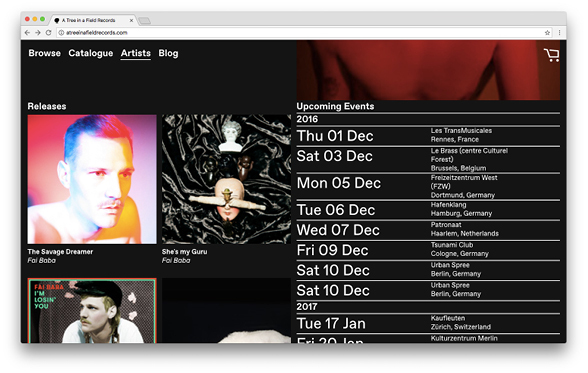 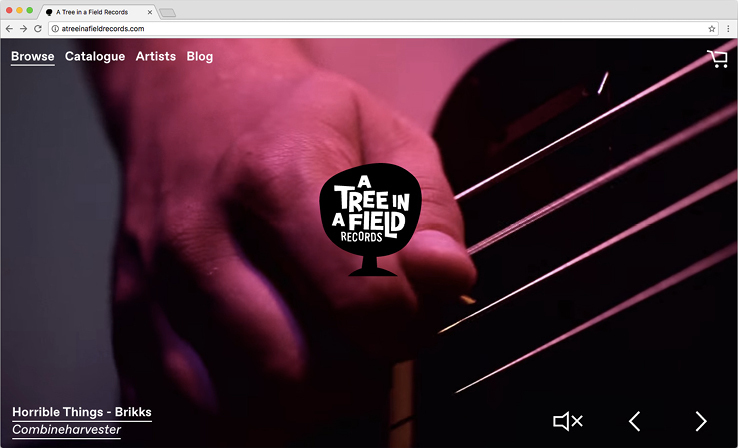 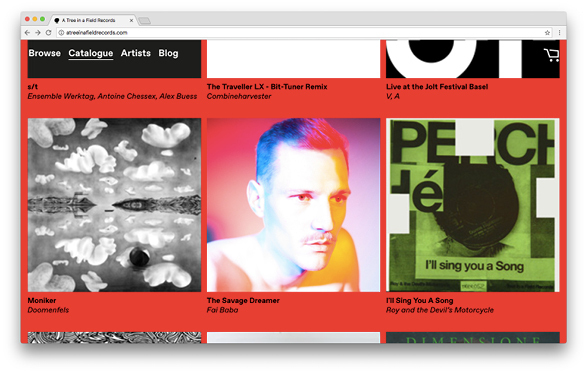 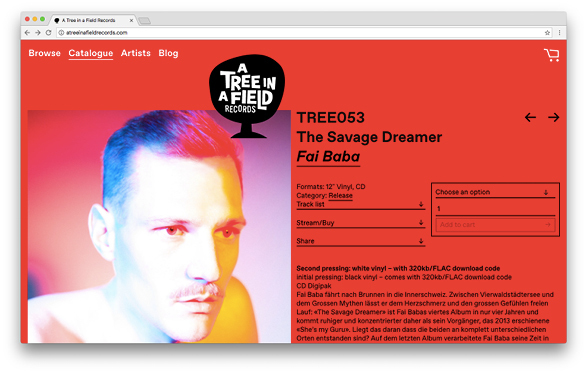 A new website and online shop was created for A Tree in a Field Records, an independent Swiss record label that has released a number of seminal records through out its almost 20 year history. 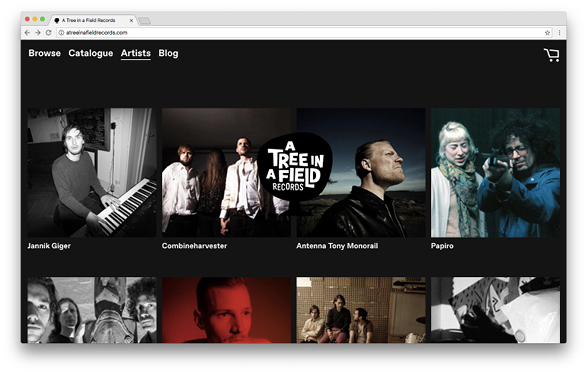 Their labor as a record label extends beyond the realms of publishing and distribution, also arranging music and managing artists. 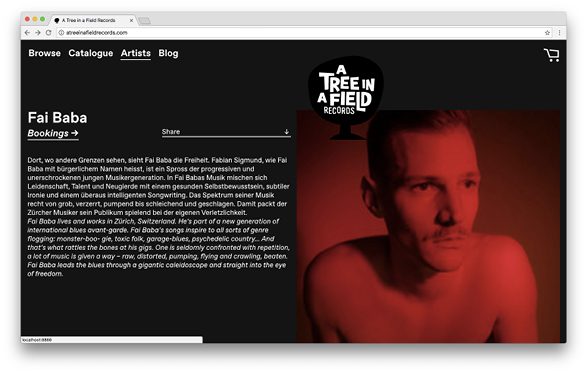 This project was created as berger + stadel + walsh.